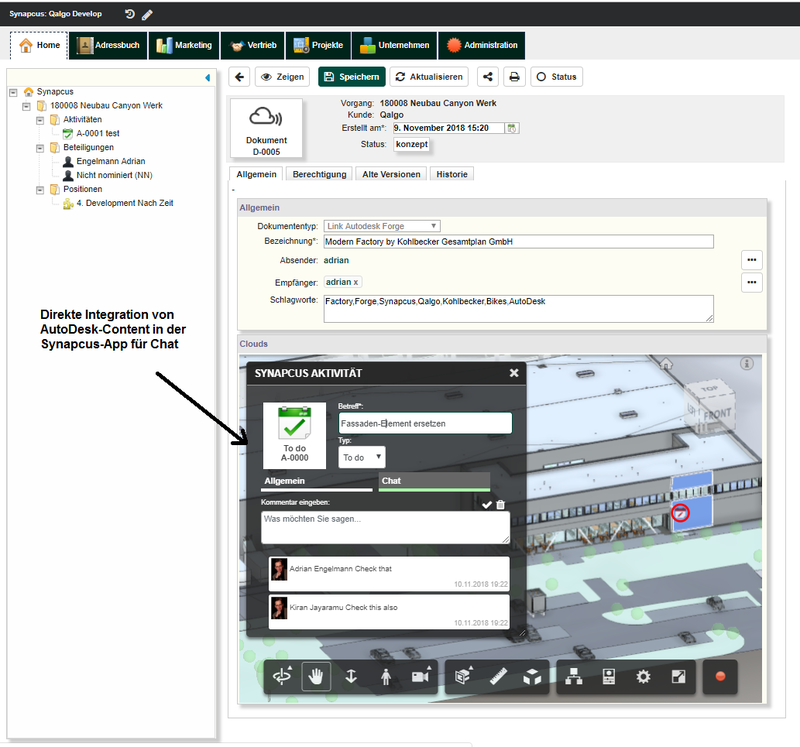 The newly implemented Synapcus AutoDesk app now enables the integration of live BIM content from the AutoDesk cloud into the Synapcus cloud. These are a variety of CAD formats that are automatically converted when uploading. The Synapcus-Forge app enables collaborative workflows, both in the planning and execution phases. 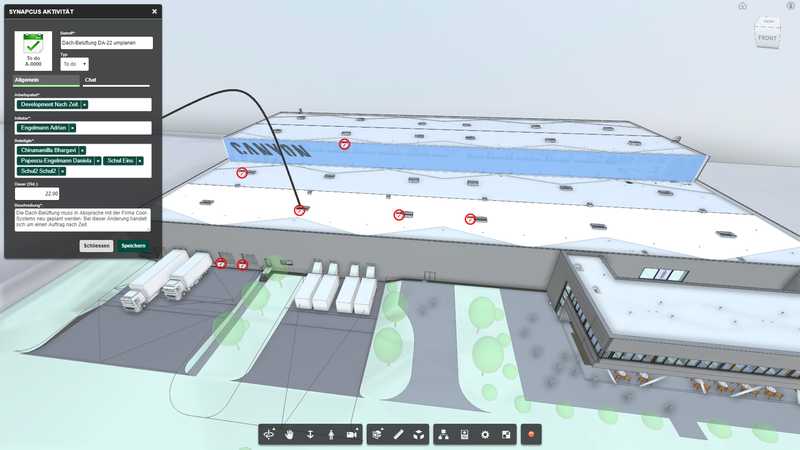 Thus, BIM technologies become easily reachable, from planning to facility management. All project participants come together on the same 3D model, where – depending on role and function – Synapcus “activities” can be created, delegated and edited. The Synapcus activities have the well-known features such as automatic mailing for status changes, comments, chat and a flawless history of all actions. New to the implementation of the Synapcus AutoDesk app is that all these interactions take place directly in the BIM 3D model. This considerably reduces the communication paths and increases the project transparency enormously. Through the chat function, planning or construction problems can be discussed on the spot. The Synapcus chat feature automatically links directly from the entered live chat project terms and names of project participants or contacts from the address book. The new posted comments will be also emailed (as in the other Synapcus modules). The expert chat information obtained in this way can be searched for relevant information by the Synapcus Elastic Search, even project-wide. The architect / general planner is thus able to quickly identify and coordinate complex relationships and states of affairs transparently.